Hollywood Gorilla Men: HOW MUCH IS THAT GORILLA IN THE WINDOW? I believe THE PET STORE (1933) rounds out a trilogy of 30's Disney gorilla toons. 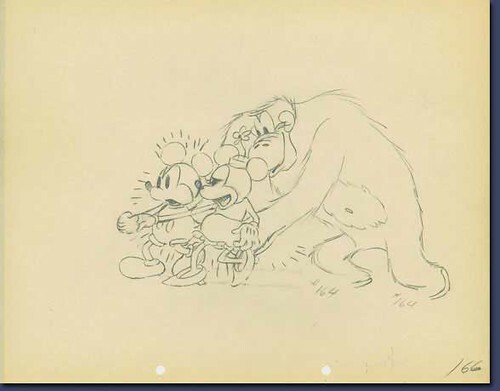 Mickey finds himself at the mercies of an ape with delusions of KONG sized proportions. The Empire State riff is a delight to watch - I never get tired of tributes to the undisputed giant of Hollywood. FIGHT CLUB - "Mickey's Mechanical Man"